The Jamie Stevenson Trophy 2016 was held at Balkello Hill near Dundee on 19th June. 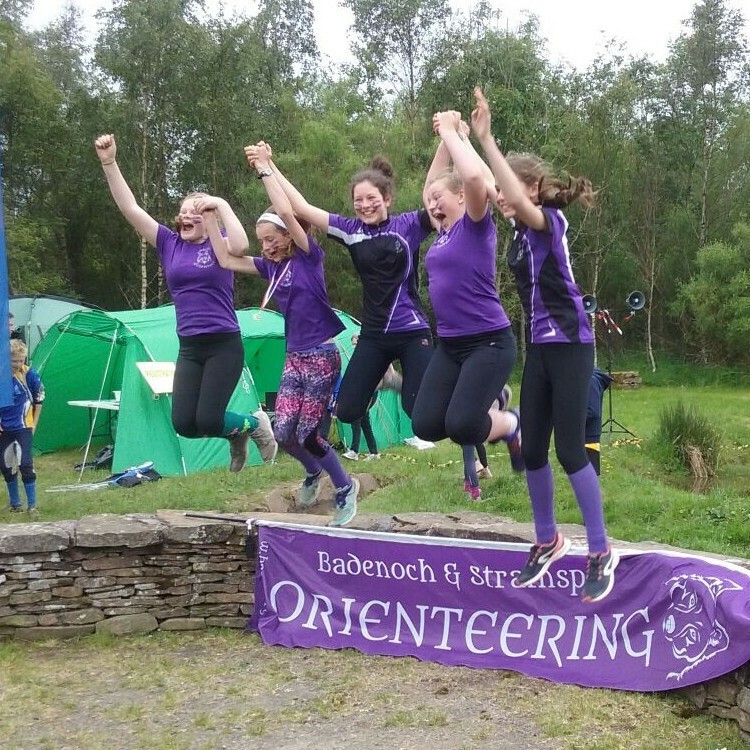 This event is key in any junior orienteers calendar, so we felt as if we should put BASOC on the map!! Five of us travelled down to Dundee, all high in spirits and looking forward to racing against some of Scotland's best juniors. To begin the event, a parade of all of the clubs took place- we felt slightly outnumbered by the huge turnouts by some clubs, but didn't fail to cheer the most! Live commentary was set up, and the finish was right in front of the club tents, it was getting exciting! I had a great experience at the JST! I enjoyed my run and was happy ( And surprised! ) to get a 1st! I enjoy my runs at competitions but what I really love is the atmosphere! Having fun with my club is really what it's all about! I enjoy meeting new people at competitions and it is interesting to see different clubs from all around the country competing. Every club is different. 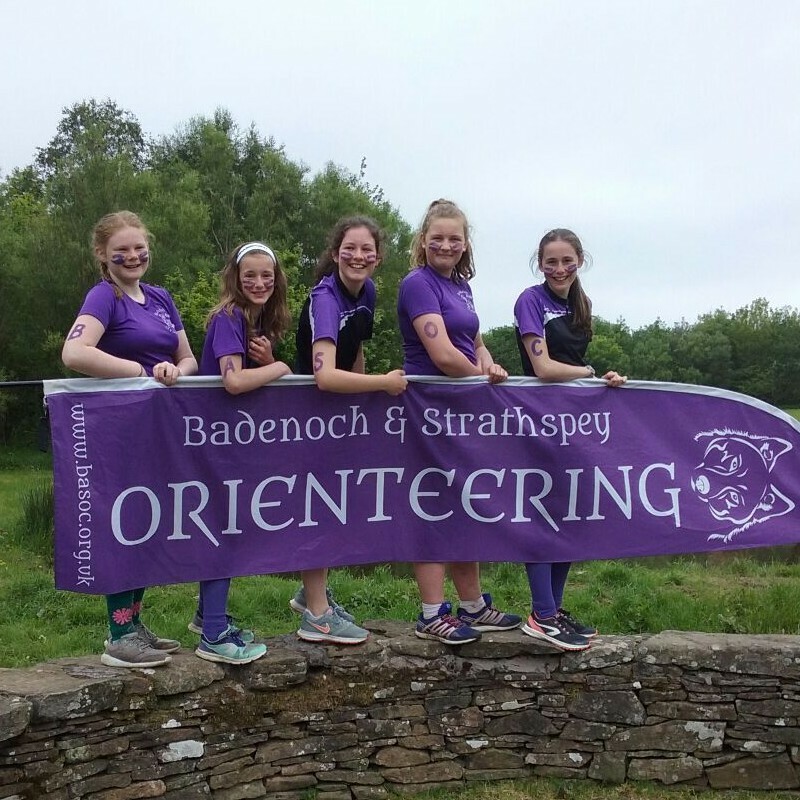 Jess Tullie is a very inspiring orienteer and all the juniors are very proud to be in the same club as her. She is also a great coach and has helped us with our navigation skills. Well done to everyone who ran at the JST! When we arrived I was quite excited, none of the BASOC juniors who competed in the JST 2016 had ever run in a JST before, and I was really looking forward to it! Armed with our purple war-paint, maps, compasses and dibbers, we set off one at a time. The terrain varied from steep, rocky and cliff like in some places, to open fields and heather covered hillside's, crossed with Landover tracks, in others. Throughout the forests there were narrow bike trails appearing left, right and centre, which made for fast running but was sometimes a bit confusing! I think we all enjoyed it (the social side and the competitive side!) and were extremely happy to come away with a 1st from our club! I will definitely try to go again next year!! The Jamie Stevenson Trophy has definitely been one of my favourite events to date! Our club spirit was great- our purple face paint was on (thanks to James!) and we were all excited to get racing. I was running a green, and was up against W16’s and W18’s, it's fair to say I was nervous competing in such a strong category! My very first control was up a steep hill, not my favourite way to start- along with some very spikey bushes, I began wondering why I was here. Once I got into the swing of things I was running well. Just before I got to one of the most tricky, long legs I caught up with a girl who I knew had started before me. My new challenge was trying to keep up to speed with her, which wasn't easy! Overall, I was delighted with my run, one of the things I love about competing away from the strath is the change in terrain. It was such a change from usual training, but it all adds to the experience, especially such a physically tough race like this one! I was really nervous at first that I would get lost far far away in a woods in some random place, but even at the start all the teams sitting in their little clusters made me feel like there would be someone there if I got lost! It was a great atmosphere and I would love to do the event again maybe even with a bigger team . It was great to see Anna coming first and I was really proud! I was so excited when I got entered into the Jamie Stevenson trophy. It was my first ever big competition and after only orienteering for nine months I was really scared. When we got there the atmosphere was amazing with teams of all sizes arriving to complete. The parade was a great chance to show off a small but mighty team. While walking to the start I looked around the key things to give me hints on the map later on. My run started sort of badly with not being able to find points 2, 3 and 4 but after finding them I got more used to the varied terrain and so 5-11 were a lot easier. I was so happy to have such a supportive team with me and I can't wait for the next competition. Once everyone had finished we kept a close eye on the results coming in. Anna was in fourth, first girl!! 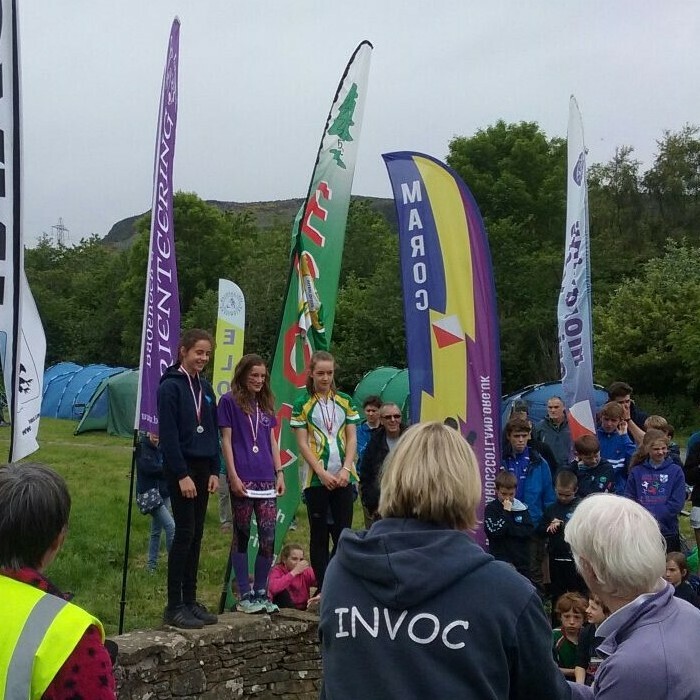 By the time of the prize giving we knew for definite that BASOCs very own Anna Cox had won the girls race for orange, we went wild! Even though Anna was the only medal winner from the club we were all very proud of our achievements. I think it's fair to say BASOC will be returning to the JST next year to achieve bigger and better things!